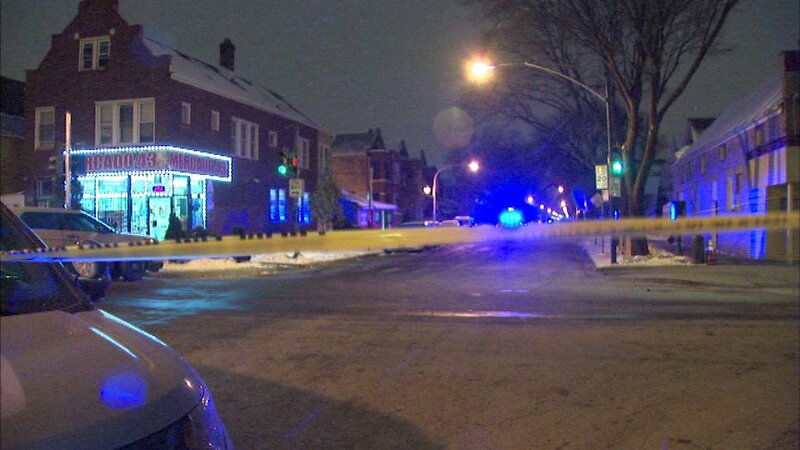 CHICAGO (WLS) -- Chicago police said four people were shot and two of them killed in a shooting in the city's Brighton Park neighborhood. The shooting took place shortly before 4 p.m. in the 4300-block of South Rockwell. Police said the victims were walking down the street when two unknown offenders got out of a silver car parked at the mouth of an alley and began firing at the group. A 47-year-old man was shot multiple times and pronounced dead at the scene. A 17-year-old boy was shot multiple times and taken to Mount Sinai Hospital where he was pronounced dead. An 18-year-old man was taken to Mount Sinai Hospital in serious condition, and a 17-year-old boy was shot in the face and neck and taken to Mount Sinai Hospital in critical condition. Police said the three younger men are documented gang members. No one is in custody. Area Central detectives are investigating.